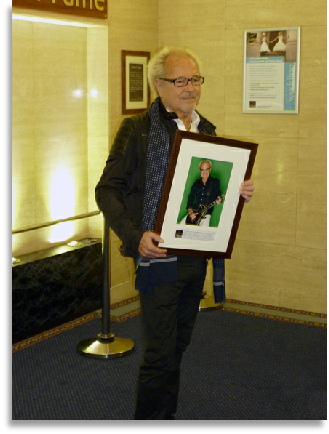 The Guildhall has its own Wall of Fame on the ground floor dedicated to musicians who have made a major contribution to music. 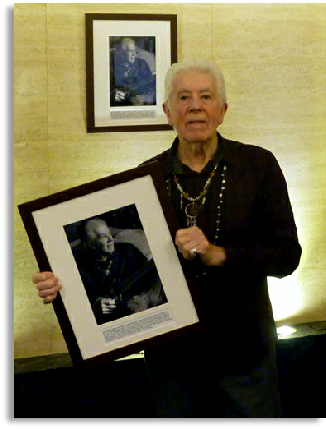 The second musician to be inducted was John Mayall, seen here with his copy of the framed photograph on the Guildhall Wall he was presented with when he played at the Guildhall during his 80th year birthday tour in 2015. 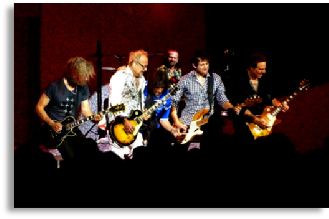 Mick Jones (second left) and Foreigner playing at Portsmouth Guildhall after he had been inducted onto the Wall of Fame. 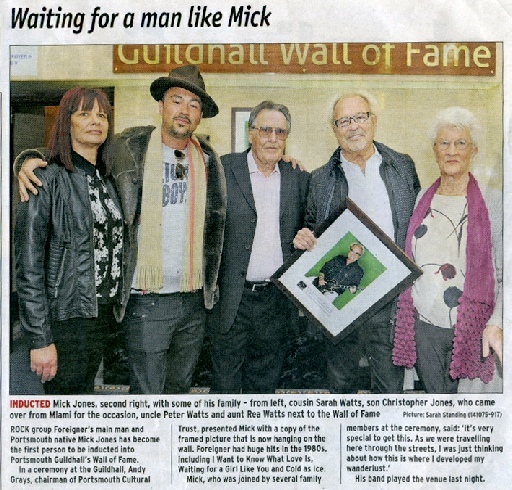 Sometime Pompey lad Mick Jones was the first to BE inducted onto the Wall of Fame. Courtesy of The News, Portsmouth.